13 November 2016. It’s Just Another Normal Day in the Rodina… Snow in Piter! This was Tuesday 8 November in Piter, on Palace Square. The couple is wearing clothing in the style of the time of Tsar Pyotr Veliki. It looks like the famed Russian winter is setting in, on time, on schedule, and as snowy as ever. Where did I put that ushanka and my valenki? Comments Off on 13 November 2016. 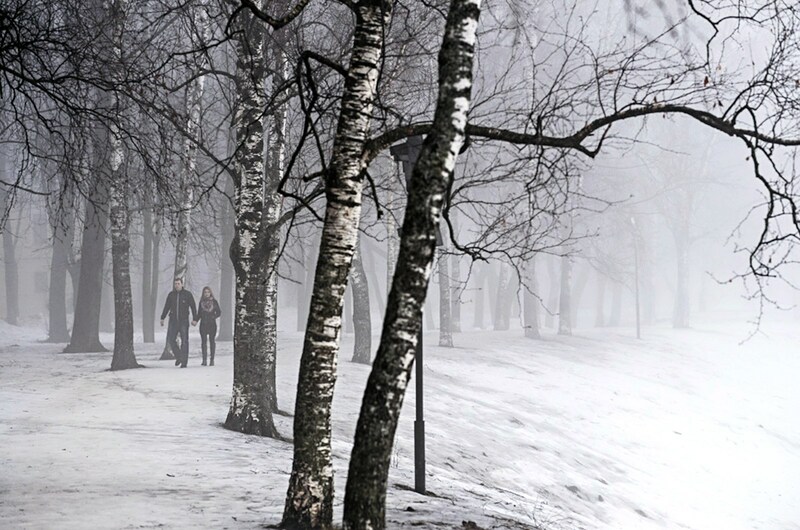 It’s Just Another Normal Day in the Rodina… Snow in Piter! 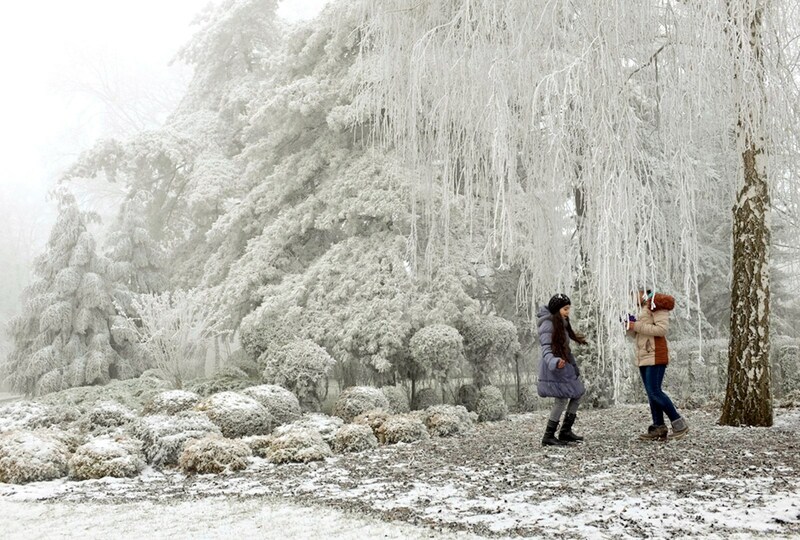 Girls enjoy the snow and ice in the Central Park in Stavropol (Krasnodar Krai. Northern Caucasus Federal District). 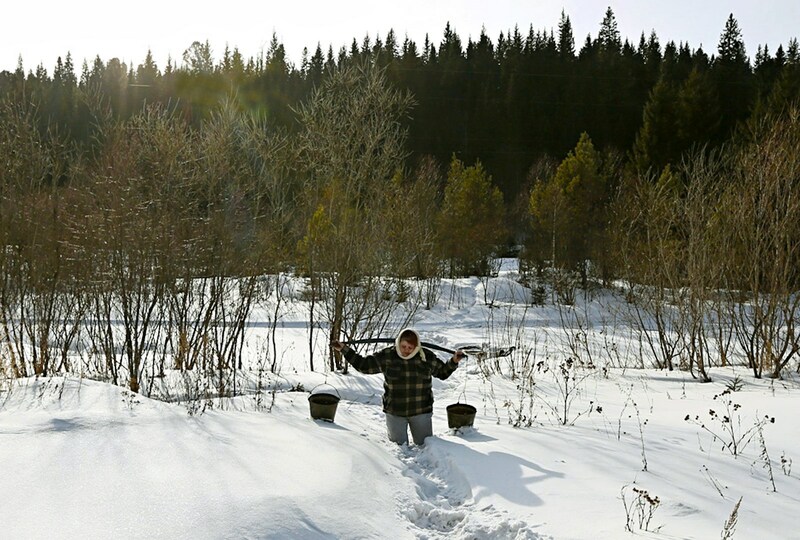 Oksana Shirshova carries a shoulder yoke with two buckets after drawing water from the Teryol River in Verkhnyaya Biryusa, in the taiga near Krasnoyarsk (Emelyanovo Raion. Krasnoyarsk Krai. Siberian Federal District).